Being Retro: What Do I Love About Blogging? The Happy Whisk asked me this question and I would the coolest thing has been meeting the people, not face to face. It's like having friends one click away helping me with problems, supporting me with those problems, offering up help with those problems. 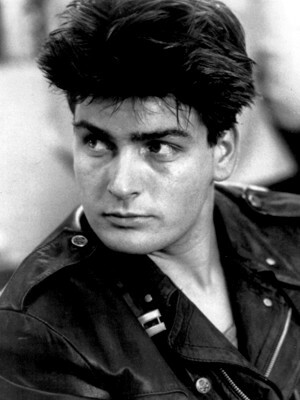 wow i am starting to sound like "Charlie Sheen", but wait he does not have problems he is high on "Charlie Sheen". Back to the question, i love being able to post anything about anything anytime I think about it. my grammar might be off, no complete sentences or some crazy monkey photo. It sort of lets you know who I am or might be or at least what kind of a nut job I might be. Very cool and I agree. It's fun to write about whatever we want. And for me, it's a fun break away from writing. Glad you're enjoying blogging as well. Keep up the great work. And thanks for the shout out. it is a great forum and we get to do anything, if tomorrow i wanted to write about snowflakes and no more zombies... i could, hmmmm snowflakes. I love blogging too. I posted, as you saw, my shower socks. Blogging is fun. Some take is supper serious and use it for promotion on their writing and that's fine but that's work to me and I already have two jobs. So I'd much rather play, while online. it is the best community there is. and I've always felt it was the crazy, abnormal, slightly mental people that added flavor and color to the otherwise bland and predictable world :) at least, that's MY excuse....what's yours? those who promote their books or art get the chance to meet a bunch of people in the same boat. i am here to push the weird and the odd, and same token sell my stuff and myself.